About Us | Let us do the work for you! All About Catering, LLC, a Michigan catering company, is a woman-owned business enterprise owned by Jeanie Raimondo and operated by her husband Chef Rick Raimondo. Chef Rick has enjoyed a distinguished career as a Michigan caterer since the 1980’s. He is known for preparing and serving fine quality foods. Rick and Jeanie employ a highly competent and well trained staff, who will ensure your event is a successful, memorable, and satisfying experience! 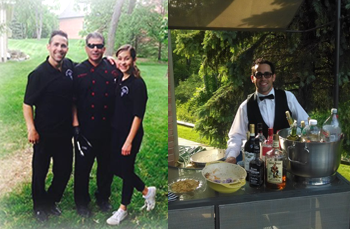 Jeanie, Rick, and staff are ready to assist in providing the food and services you need for your next successful Michigan catering event. Whatever event you have in mind, you can make it even more special by having our experienced food consultants and decorators guide you all the way. We’ll do all the work so that you can relax and enjoy yourself. 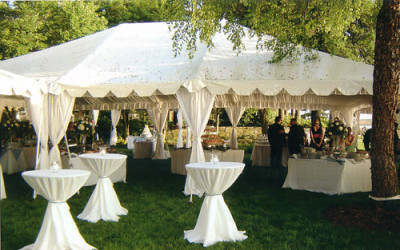 As a full service caterer, we also provide tents, tables, chairs, linens, china, ice cream carts, chocolate fountains and bartending services. We are a one stop shop for all your event needs.